‘Traction’ is largely about a system called EOS (The Entrepreneurs Operating System), around which you can effectively build an entire business. I am going to give this book ‘a little more in-depth critique’ (positive and negative) than I usually do in my book of the month reviews because it explains a fabulous business framework that I have recommended to several clients and business leaders who have subsequently successfully integrated it into their business. It is a brilliantly put together book, written by someone who really understands business systems and the everyday realities that such systems need to be able to deal with. The author Gino Wickman is a successful Canadian entrepreneur and is the creator of a licensed system called EOS (The Entrepreneurs Operating System) ‘designed for businesses of up to 250 people’. 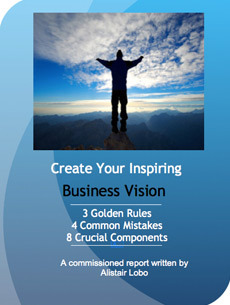 The over-riding outcome of ‘The Entrepreneurs Operating System’ explained in this book is to implement systems, processes and agreements that reduce the number of issues the entrepreneur and business leader has to focus on at any one time, whilst giving them greater clarity of priorities, visibility and awareness of the key issues and opportunities. These are all great questions, however, because I am recommending this book and the wonderfully constructed system within it, before I proceed, I am obliged to outline the gaps in the EOS approach to identifying vision and values (below in italics)…..
As a ‘Vision & Values’ specialist of some 11 years standing, my only significant negative critique about the EOS lies in it’s approach to effectively identifying ‘vision and values’. Whilst Wickman has ‘Vision and Values’ perfectly positioned within the EOS framework it’s approach to eliciting values does not acknowledge or apply some important values fundamentals found in Axiology (The study of values). In my experiences, numerous well-written business books, also have an issue with the underlying structural integrity around the core concept of ‘values’. And like the vast majority of business books, ‘Axiology’, the study of values, is not applied or even referenced. This fundamental omission often fails to uncover the most powerful and inspiring values drivers within a business. If you wish to understand values in more depth, I would recommend a book I have previously reviewed called ‘The Values Factor’ an international best-seller written by my mentor and teacher for the last 10 years Dr. John Demartini. John is considered by many to be the world’s leading authority in Axiology (The study of values). When I work with business leaders, my fundamental outcomes for vision and values include that when they verbalize their ‘business vision’ it must move them to have a tear of inspiration in their eye, if it does not, then I know that we are not there. The big vision has to be more than just a memorized statement, it needs to be an inspiring, purposeful story that flows from the heart and engages all stakeholders. EOS rightly identifies the goals that sit under the vision need to be ‘SMART’ (Specific, Measurable, Achievable, Results and Time-driven), but big visions about your business or your life are most powerful when they inspire you to the depths of your soul. Equally important (and not referenced in the book) the business leaders I work with need to have a ‘personal life vision’ that also is totally inspirational and that importantly is aligned with their own highest values AND the vision of their business. In fact, for any individual in your business to be inspired / self-motivated and enthused about their work, their roles within the business must be clearly linked to one or more of their 4 highest values, otherwise ‘it’s like trying to get a turkey to fly’ or as Albert Einstein said about why we fail to see the genius in people, ‘like teaching a fish to climb a tree’. A business is a collection of individual people, so in my experience, it is essential to have more effective processes to understand values at an individual level u key principles found in Axiology. Questions that elicit people’s ‘real authentic values’ include: ‘Where do you actually spend your time?’ (look at your diary), ‘Where do you actually spend your money?’ (look at your bank statements) and ‘What do you think and dream about the most?’. I have found from experience that if you ask 20 people in a business meeting “Who values honesty?” Or “Who values integrity?’ All 20 people will raise their hands, which tells me absolutely nothing about their real individual values. Also, to list terms such as ‘Loyal’ and ‘Self-motivated’ as core values, without a serious amount of qualification, is potentially weak, because in reality everyone is ‘Self-motivated in their highest values’ and everyone is ‘loyal to their own highest values’. I only have to look at my 8-year-old son who struggles to do his homework but needs no external motivation whatsoever to battle through to the next level of his favourite computer video game. In my experience, the omission to elicit individuals’ values reduces any business’s capability to have even more inspired and even more productive team members. Ironically it also reduces your probability of ‘getting the right people in the right seats’ in the first place! A core driver of the EOS philosophy. 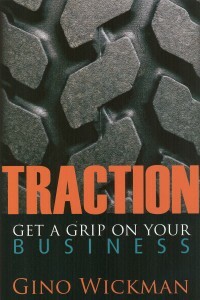 I repeat this is my only caveat of the book Traction and EOS and it is with this with this caveat I now wholeheartedly recommend it to many business leaders and entrepreneurs. I love having a timescale of targets that sit under the vision. The 2 most important targets for me are the 1.‘The medium to long term vision’ and 2. The immediate / ‘short-term target’. This is something that Gino Wickman calls ‘Rocks’ and defines as ‘the targets for the next 90 days which I have found is a perfect timescale to maximise entrepreneurial focus. Even with this weakness in the EOS vision and values component, a business using it is still highly likely to experience greater success and growth, because the system is so wonderfully put together. It is a practical system, created by someone who really understands business success and presents you with a template through with which you can build and review your business and ensures that you are looking at the right pieces in the puzzle. The key outcome of this second element is to ‘get the right people in the right seats’! The first 2 key seats are the 1. The Visionary and 2. The Integrator – these are the people that will drive the business one being more intuitive and creative and the other being more grounded and able to integrate the vision, make things happen and manage the other key seats in the business. Gino Wickman presents a useful tool to apply to all people in all seats, called ‘The People Analyzer’ which would be significantly more effective if it embraced some core principles of Axiology. Here, here! I love my clients to dream inspiring dreams, but I also love them to be grounded in meaningful data. Effective ‘Scorecards and Measurables’ are indeed 2 elements of data that are often missing from many businesses. I had an enquiry from a business only last week who were spending $40,000 a month on marketing without measuring many basic elements of data. So much so that they could not assess what campaigns were working and which ones were not – ‘Crazy!’. Gino Wickman also emphasises that ‘every person in the business must have a number’ or indeed a series of numbers that measures their key functions in the business. He gives an example of a personal assistant giving themselves a number of rings of the phone within which it should be answered. The reality is that you cannot achieve any inspiring great vision without an equally great grip on your current reality, this is why like it or love it ‘Data is your King and Vision is your Queen, without both your business has a precarious future.’. 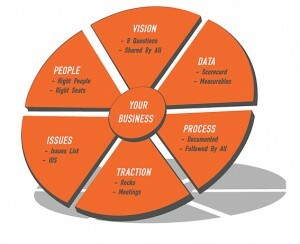 Gino Wickman states that most businesses typically have around 7 core processes. So, the first question you need to answer is ‘what are the core processes of your business?’ There is a lot of variation of ‘core processes’ from one business to another, Wickman gives a good example of one of his clients who is a construction company that has 3 central core processes 1. General Administration, 2. Accounting & 3.IT with four other core processes 4. Business Development, 5. Estimating & Procurement, 6. Architectural Services and last but not least 7. Construction Services. The key emphasis here is to identify your processes and then to document them and understand (helicopter view) how these core processes work together. The final element and title of the book is very much about the integration of the first 5 elements. There is an emphasis that with the first 5 elements in place you should now have 1. Accountability in place, 2.Better communication, and 3.Improved Organisation. Wickman also re-emphasizes that it is the 90-day targets that he refers to as ‘Rocks’ (something I call ‘60-90-day goals’) are where you will achieve the most traction once you have implemented the first 5 elements. All in all, this is a great book to read if you are interested in business growth, saleability, structures and processes and even if you do not agree with everything presented, it will provide you with a fabulous framework with which to review the most important elements of your business. I will continue to recommend it to business leaders and entrepreneurs.